A few final steps before buon viaggio! Review the following documents which include a booklet that explains how to prepare for the Rome semester, a student handbook that lays out the rules and regulations on campus, a packing list to help you pack and videos with advice from past Romers that will help you get ready for your semester abroad. Textbooks are provided on campus for all courses with the exception of Italian. Textbook information is provided for students who want to read in advance. a third and final reason for change could be local conditions: Italy and Greece (the primary locations of our program) are full of surprises, such as wide fluctuations in prices, strikes, etc; if we are forced to change our calendar for these reasons, we will do so. Review these brochures and a comparison sheet of different insurance options for semester Romers. You may also purchase trip cancellation insurance with World Nomads. Review their website at https://www.worldnomads.com/travel-insurance/. You may also purchase property insurance with NSSI. Review the brochure. For further information, please visit www.myisic.com/travel/travel-insurance/. It is required that all students carry a cell phone that works overseas for contact purposes in an emergency. All devices should be equipped with a data package. Students may bring a phone configured for overseas from home, or may purchase a device when they arrive in Italy. Please do your own research and decide what option will be best for you. Some options past students have used are below. In addition, there are many free applications that allow you to call, text, video chat, and message by solely using your Wifi connection. A few of these free apps are Whatsapp, Voxer, Viber and Textfree. Remember to file your taxes, leave a signed tax form for your parents to complete, or file for an extension before you leave for Rome. All tax forms may be found at http://www.irs.gov/ and should be available to you via the Internet. Forms may be completed, signed and mailed back to the states if you are unable to fill out your paperwork before you leave. If you are unable to file your income tax return by the due date you may be able to get a 6 month extension of time to file. To do so, you must file Form 4868, Application for Automatic Extension of Time to File US Income Tax Return by the due date for filing your calendar year return (April 15th) or fiscal year return. 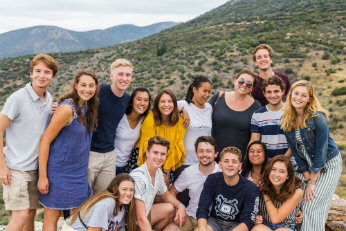 Students interested in voting while out of the country should visit https://www.usvotefoundation.org/ for more information. FCO is the main international airport in Rome. It is located 16 miles southwest of Rome and is about a hour and a half ride from the Rome Campus. Flights must land by 10am the day the program begins in order for students to meet the campus arrival window. CIA is the secondary airport in Rome. It is located 7 miles southeast of Rome and is about a ten minute drive from the Rome Campus. Students traveling in Europe before or after their semester will most likely fly thru Ciampino. Taxi Service: Please make sure you use an official taxi. Official taxis have their license number clearly displayed and have a TAXI sign on their roof. Only take taxis from a taxi stand or by calling RADIOTAXI. You must call at least 3 hours in advance to reserve a taxi ahead of time. Reservations for night services must be made before 5pm. Private Transportation: Franco Petrucci Limousine Service offers favorable rates to University of Dallas Students. For contact information and a detailed price listing please click here. The following are recommendations from staff and past Romers. 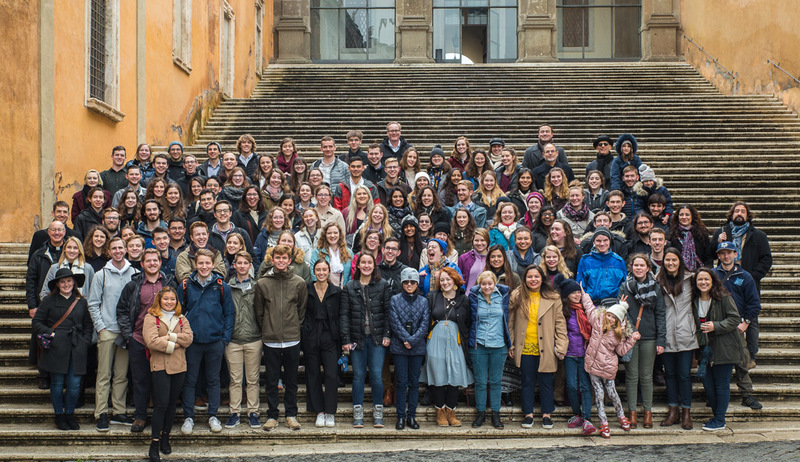 Students who arrive in Rome before campus has opened as well as visitors during the semester will find the list helpful. Rome Fiumicino Airport: Luggage storage is located at the International Arrivals area of the Terminal 3, and works every day from 6:30 am to 11:30 pm. There is a baggage room service that is free of charge, and you can request it at ADR information desks and interactive multimedia stations. Italian Tourism.com is the National Tourism Board's website for Italy. Every city or town in Italy lists their individual website here. It is a great resource. The Let's Go site and traveler guides are helpful for planning weekend trips to one of the 20 Italian regions. Places to see and eat in Rome: Msgr. Fucinaro's recommendations for places to visit in Rome. Lonelyplanet.com is another good site that provides a simple summary of cultural and historical sites in and around Rome and Italy. Spottedbylocals.com gives local perspectives on the best that Rome has to offer. 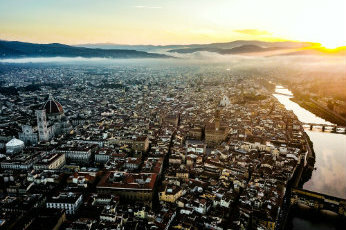 It also features many other European cities. Trains in Italy contains information about types of trains, maps and reservation fees. The Eurail Italy Pass is dedicated to train travel in Italy. The pass offers discounts for the Correr Museum, National Museum of Archaeology, Saint Mark National Library Monumental halls and more. Virtualtourist.com can help you plan your trip with help from reviews and photos from real travelers. For bus schedules and travel check out moovit.com and flixbus.com. Below are some sites and resources that will be helpful when planning your Fall/Spring Break trek across Europe. Maps: The Ulmon app and Maps.me offer city maps that can be downloaded onto your smartphone and used offline. Free Tours: Neweuropetours.eu lists free walking tours offered in cities throughout Europe. Free walking tours are popular among students because they are a great way to get to learn about each city and to meet other students studying abroad. Frommer's Europe: Past students recommend Frommer's Europe from $85 a day travel guide to help plan your trip. For more information, see Frommer's website. Rick Steves Audio Tour Guide App: By downloading this app to your phone, you can listen to tours on your own and avoid having to share a single guidebook with your travel group. Tripadvisor.com is a great resource for local things to see and do in just about every major European city; includes user reviews and ratings on everything from restaurants, museums, to beaches. Budget Traveling: euro-backpacker.com is an extensive comprehensive guide to traveling on a budget. Cultural Help: eupedia.com explains cultural differences in each country and tips on how to "blend in". Currency: xe.com is a currency converter website that is useful when looking for exchange rates. You may also want to look into downloading Venmo for an easy way to pay back friends when traveling. MYISIC.com is the official website for the International Student Identity Card. STATravel.com offers information on hostels, Eurail, Bus tours and travel insurance. All: Rome2rio.com and GoEuro are an excellent tool that provides route options and prices for any starting point and destination. Depending on your 10-Day itinerary, using this site may be cheaper than purchasing a Eurail Pass. By Plane: Traveling by plane around Europe is a quick and easy option. Note that there are strict luggage limitations and most cheap airlines do not fly directly to huge city centers - you might have to take a bus, taxi or even train from the airport to your final destination. Ryanair, Vueling and EasyJet are among airlines most often used by students. Past Romers recommend using Skyscanner.com, a travel search engine, to find cheap flights but booking directly on the airlines website to avoid involving a third party. By Train: Trains are a great way to see the country. Individual tickets are often the way to go, but if you plan on traveling by train a lot, you may want a Eurail Pass. See Eurail.com and raileurope.com to read about the various pass options and prices. If you have specific questions or would like to purchase a railpass, there is more info at statravel.com. You may also want to check out trainline.eu. To the Czech Republic: The Czech Student Agency helps with transportation to/from the Czech Republic, though it can be used to find other train/bus routes. It is inexpensive, gives an ISIC discount, provides free drinks and sells snacks at low prices on their buses and trains. Backpackers Ultimate Guide (BUG) has tips on how to pick the right Eurail Pass as well as travel necessities. StudentUniverse.com specifically offers travel information for students. One of the most important things to do before you set out on a trip is to make sure you have some place you can sleep. Past Romers have recommended using such sites as hostelworld.com, hostelz.com, hihostels.com, hostels.com, and booking.com to research possibilities. A key thing to remember when booking a hostel is its proximity to the attractions you want to see. Reading reviews of the hotels can also be beneficial. Renting an apartment through airbnb.com, homeaway.com or HomeToGo can be a very cost-effective option when divided among a group of people. Download the Google Translate app. EVen when you're offline you can hold your phone up to a menu or whatever needs to be translated!